I did not write this, it came to me via email, but I am old enough to remember this clearly. The photos are my cell phone photos that I took today to go with with fun piece. I added personal comments in green throughout. This sign is required to be posted in our place of business. Did it use paper and ink plus gas for a young lady to drive to us, inspect our building, go through our trash can and hand us this poster? 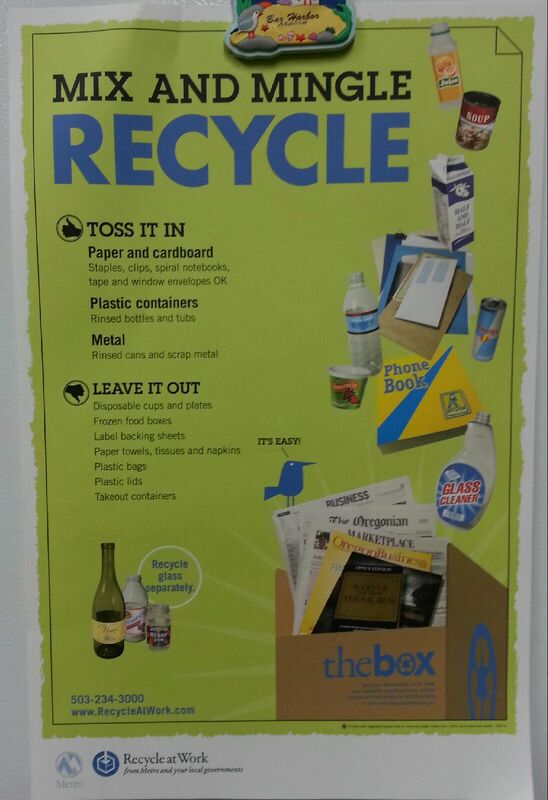 Did I mention we had been recycling for 13 years at work? She found a pop can in our trash and gave us a 15 minute lecture. Perhaps someone, it could even have been a truck driver from out of state, mistakenly thought the small recycling container would be the trash because the large container is should be the one for recycling. That could easily happen since at our homes we have small trash containers and huge recycling containers. weren’t good for the environment. Paper recycling very light weight cardboard box container under my desk was brought in to replace the heavy-duty recycled cardboard box I had used for several years. 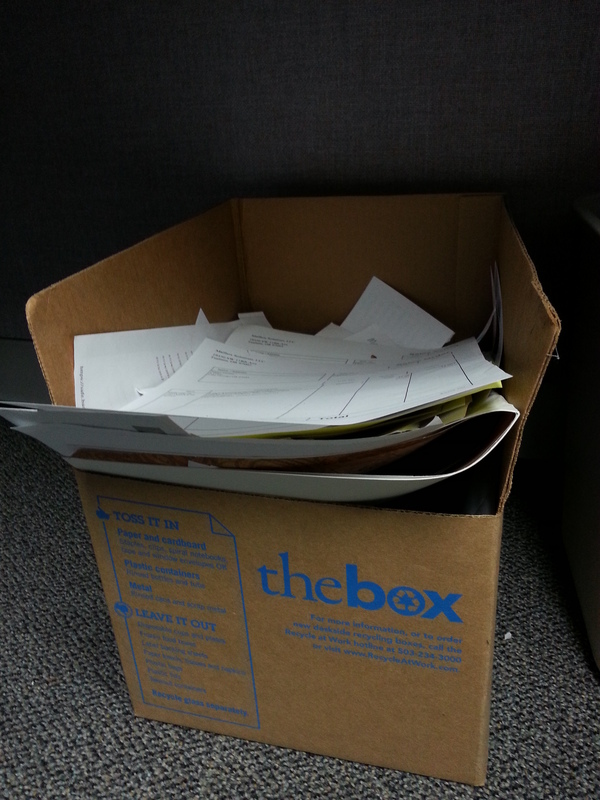 It was had for me to grasp the concept of yet another box when the one I used had been working perfectly. bank of sockets to power a dozen appliances. 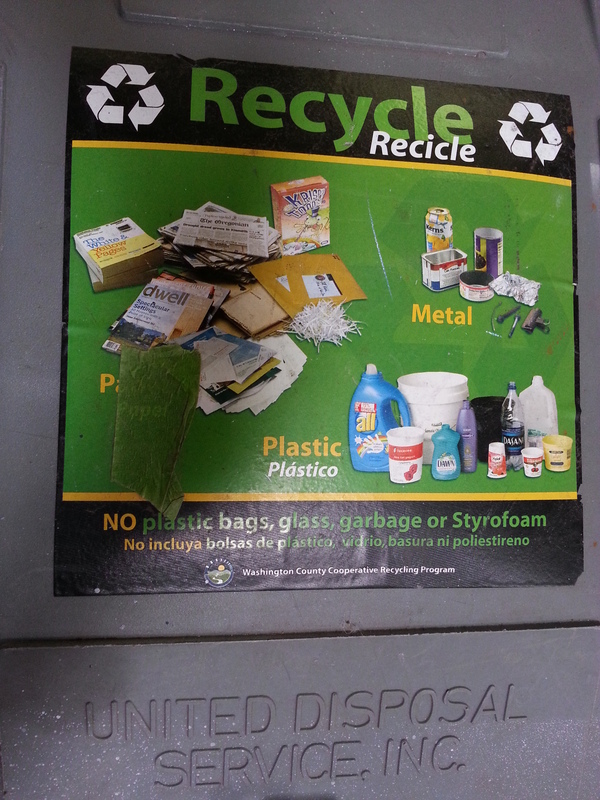 Our very own special recycling container which replaced the large recycle bins that served multiple businesses. were just because we didn’t have the “green thing” back then? make change without the cash register telling them how much. There is so much truth to this, but I for one applaud having a cell phone, permanent press clothes out of the dryer and I love my computer. I do think we could make this a better world if we embraced the ways we each can recycle and keep junk out of the landfill and keep people slimmer and healthier with all the walking. However walking to work wouldn’t be good, unless I lived much closer. So with thanks to an unknown writer and apologies for not being able to credit the right person, I hope you enjoy this and it brings back memories if you are one of the older among us. If you are one of the younger among us, perhaps you can learn something from history, or your elders and stop rolling your eyes, really it worked. Yowie, that’s a good one! Don’t ya just love the mandates from the government that’s msake us all equally subordinate?